Will we go for a Passiv House? 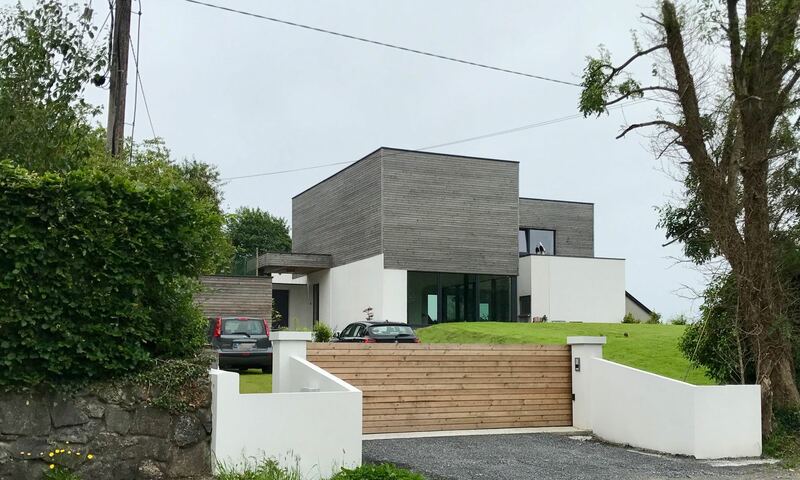 I completed a 2 day workshop in Dublin last week organised through the SEAI in the use of the PHPP Application which is designed to help you to calculate the performance of the house in terms of energy efficiency with the aims of achieving the Passive House standard. The Passive House Planning Package (PHPP) software is basically an Excel Spreadsheet with a load of hidden formulae & calculations. It needs a good level of expertise with Excel as you’ve an awful lot of data to fill into the system. Anyhow, after 2 days of calculating, measuring and filling in values you get a few key results which give you the energy requirements of your house and if you’ve achieved the standard to get Passive House accreditation. The air leakage test results must not exceed 0.6 air changes per hour using 50 Pascal over pressurisation and under pressurisation testing. I think I am comfortable enough with the software to get a fairly good idea of the overall performance of our house design but the software will help us work out what difference certain types of insulation on the walls/ceiling/floor and window types will make. I don’t know if we are going for the full Passive House standard and accreditation but we would like to get close enough as the principles and performance of the standard are worthwhile.